Who doesn’t want to get a free Amazon Prime subscription? Now, you probably don’t want to admit it, but we are sure you are thinking about how to get free Amazon Prime subscription all the time? It’s OK. Everyone wants it. And yes, you cannot breach the security wall of Amazon but there are chances that you may avail this benefit. 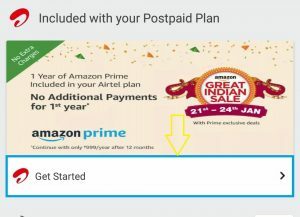 Well, if you are an Airtel postpaid user, then you can probably claim free Amazon Prime subscription for 1-year. Yes, you heard it right, Airtel has partnered with Amazon to offer the free subscription. The offer is currently live but it can only be availed by Infinity plan users who have a monthly plan of Rs 499, Rs 799 and Rs 1,199. 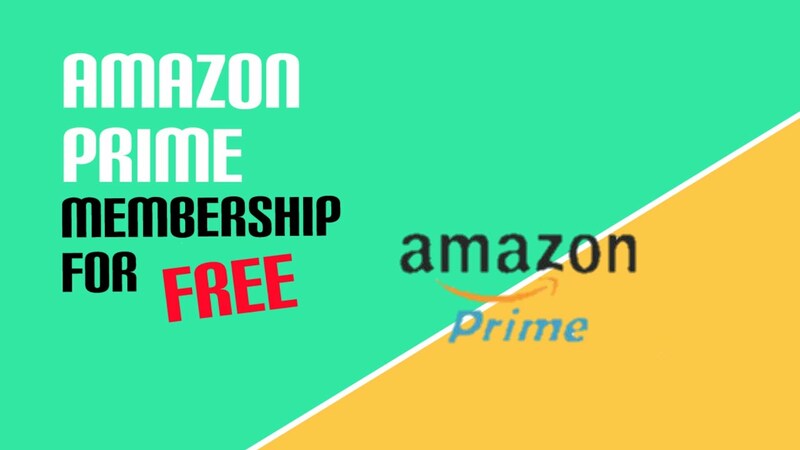 You can watch and enjoy Amazon Prime Video and have access to over 11 million Prime eligible products, early & exclusive deals, special discounts and more, while shopping on Amazon.in – all as part of the Prime membership provided with their postpaid plan. 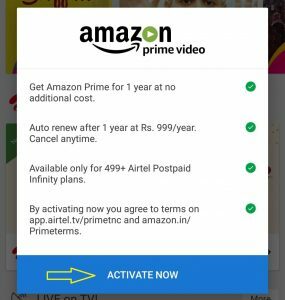 The offer for one year of Amazon Prime is activated exclusively through the Airtel TV app. Access to Prime Video is available after downloading the Prime Video app on supported devices to begin streaming a broad selection of the latest and exclusive movies, TV shows, stand-up comedies, kids’ programming and Amazon Prime Originals. Step 1: Download and install the Airtel TV app from Google Play Store. 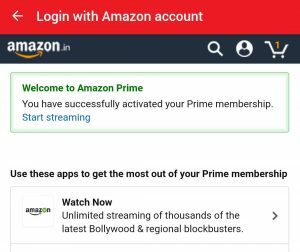 After downloading, you need to open the app and check the banner ‘Amazon prime’. Now you have to click on the ‘Get Started’ option. Step 2: Now you will find a pop-up coming on the screen. Click on the activate now button. Step 3: Now, there is another window you will see as ‘login with amazon account’. 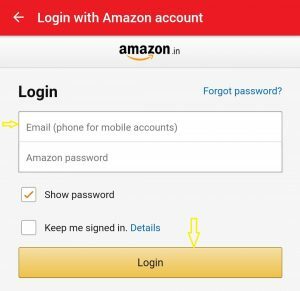 If you have Amazon India app then simply sign in using your credentials, otherwise, you need to download the app from the Play Store. Step 4: Let the sign in process complete and you will get a confirmation message on your registered mobile and email. All new and existing Airtel postpaid customers can also upgrade to Rs.499 or above Infinity Postpaid plans to activate this subscription pack. However, the process remains same. Note: The benefits can be also availed by Airtel V-Fiber Broadband customers.